Think you missed the deadline for Hot Lunch ordering? You can still make changes, additions and deletions to your hot lunch orders up to 9 days before the actual lunch date. Don’t miss out and save yourself time from making lunches! WE ARE GOING GREEN: Remember to send in your reusable utensils and straws! Only NEW families need to register into the system. If you do not register, you will not be able to purchase hot lunch. REMEMBER: Your Toonies for Terry! Children are encouraged to bring in a Toonie as part of our Fundraiser. And dress for the Weather. This event happens rain or shine. Parents are welcome to participate and cheer on the little feet. Show your Montroyal Spirit!! 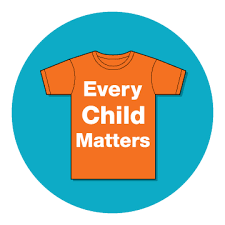 Every Child Matters campaign, the school asks students to wear an orange shirt (optional). The date was chosen because it is the time of year in which children were taken from their homes to residential schools, it is an opportunity to set the stage for anti-racism and anti-bullying policies for the coming school year. 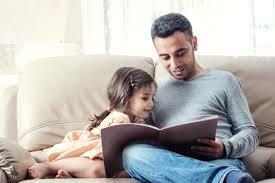 Teachers will be passing the story and learning on to the next generations. Register Today! Chess and Basketball started last week!! (but you can still register). Montroyal is planning on WINNING this year. Last year we lost to Lynn Valley Elementary. This will not happen again...and WE NEED YOUR HELP. 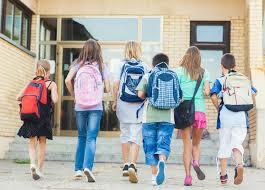 Encourage your children to create a walking group...grab a buddy and walk to school. Dust off the scooter and show your wheels! Whatever you need to do. Get those bodies moving Montroyal.